Think outside the bottle with these excellent wine accessories. If you know someone who enjoys coming home to a glass of red (or white, or pink!) at the end of the night, we have you covered. 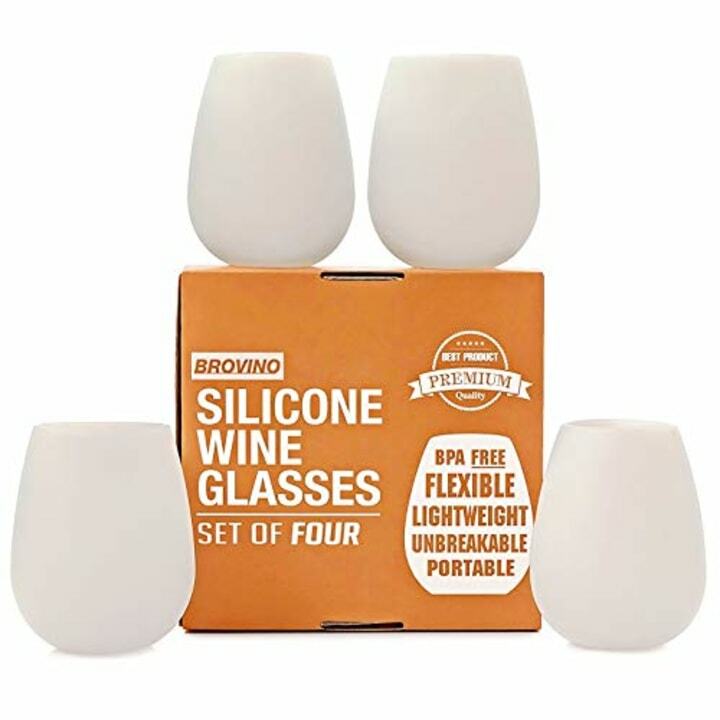 From silicone wine glasses that won't break no matter how clumsy you are to kitschy socks that might magically make a new glass appear, here are some seriously clever and practical gift ideas for all wine lovers on your list. It doesn't matter if you're a rosé all day kind of sipper, pinot grigio fanatic or malbec connoisseur. There's something for everyone on this list! Wine on the go! Never worry about broken wine glasses again. These silicone rubber wine cups are easy to clean and dishwasher safe. These pens make a great hostess gift. 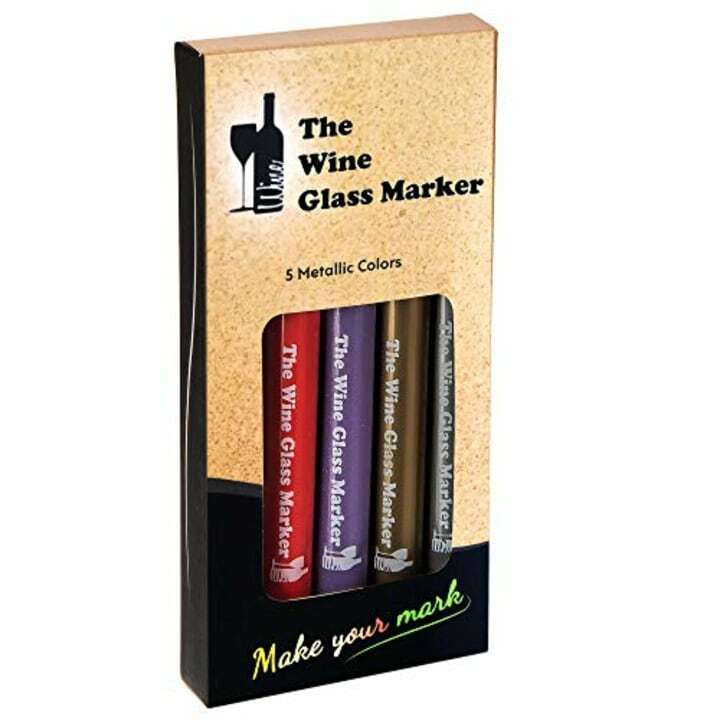 Use them to personalize wine glasses by writing names or making unique designs — the marker wipes off with soap and water. 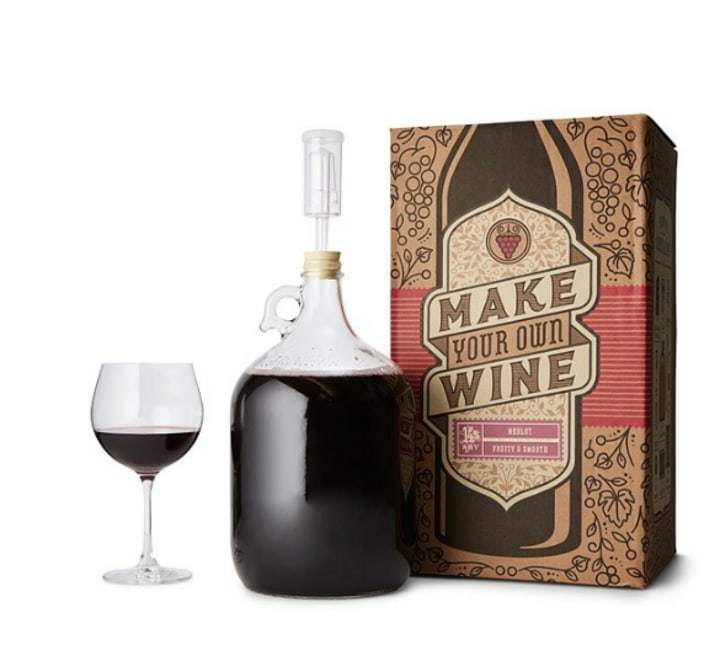 Help wine breathe with this handy portable aerator. And while removing stains from your clothes, might as well say goodbye embarrassing teeth stains! 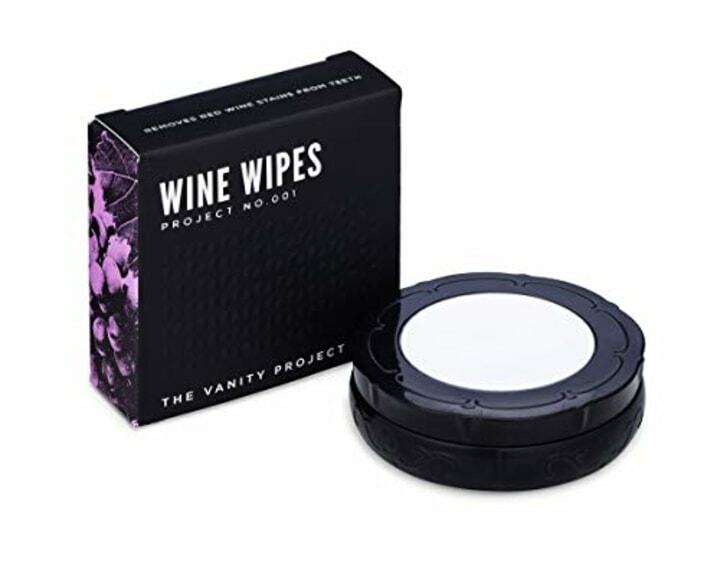 After a glass or two too many, you can use these wipes to get that telltale ruby tint off your kisser. 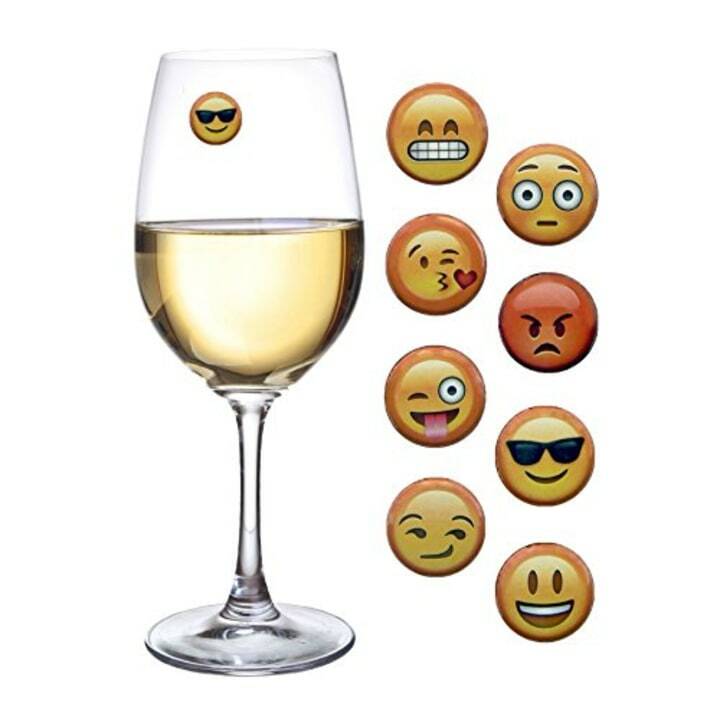 For something a little more fun, these magnetic emojis will jazz up a wine glass no matter what mood the holiday season has you in. It also makes a great stocking stuffer. These elegant charm bracelets hang effortlessly from stemware and let you know which glass is yours. 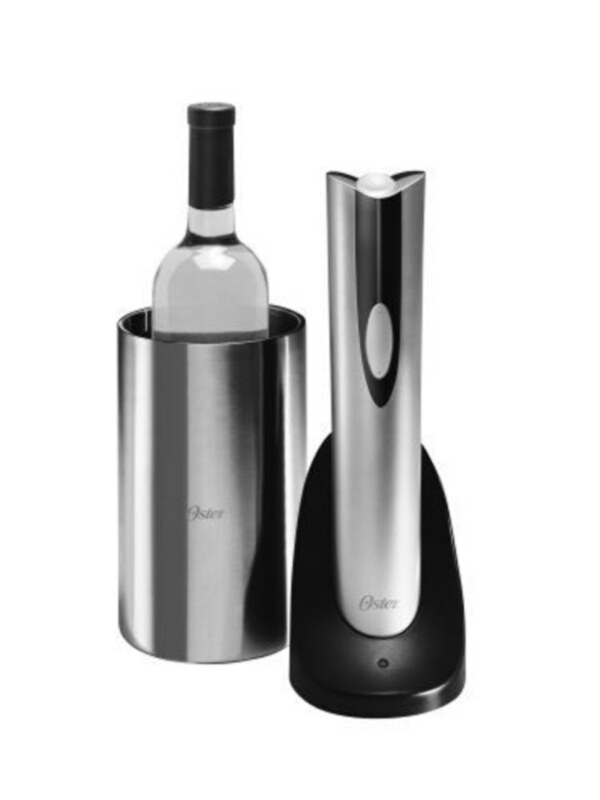 This cordless electric wine bottle opener removes the cork with ease: you just press a button! Yes, that means no more broken corks, difficult corkscrews or spending way too long opening a bottle. For something a little fancier, check out the Coravin Elite Pro ($400 for Amazon Prime members right now) — this bad boy actually does the pouring too! For someone who loves wine, giving them a way to display their bottles in style is a chic gift that says you know them. 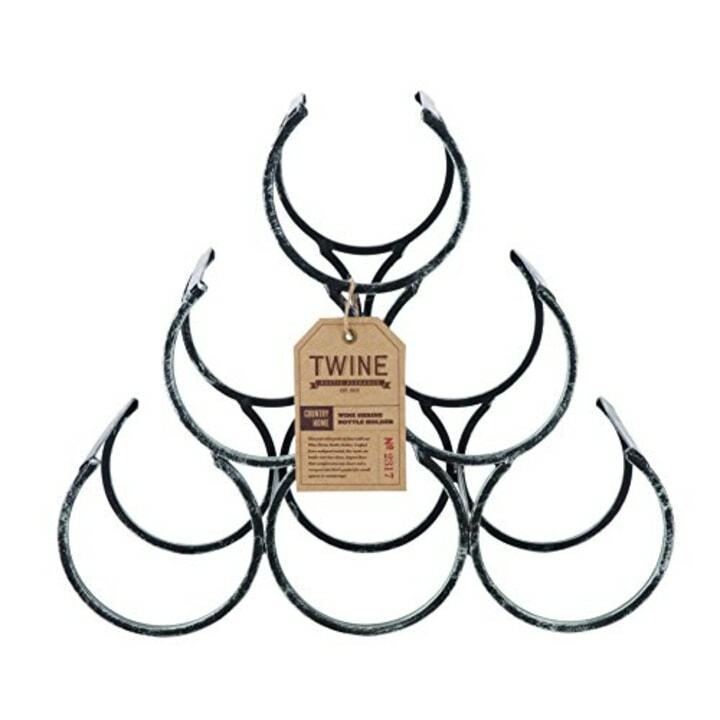 This free-standing, metal wine rack holds up to six bottles. If you can read this, bring me some wine! 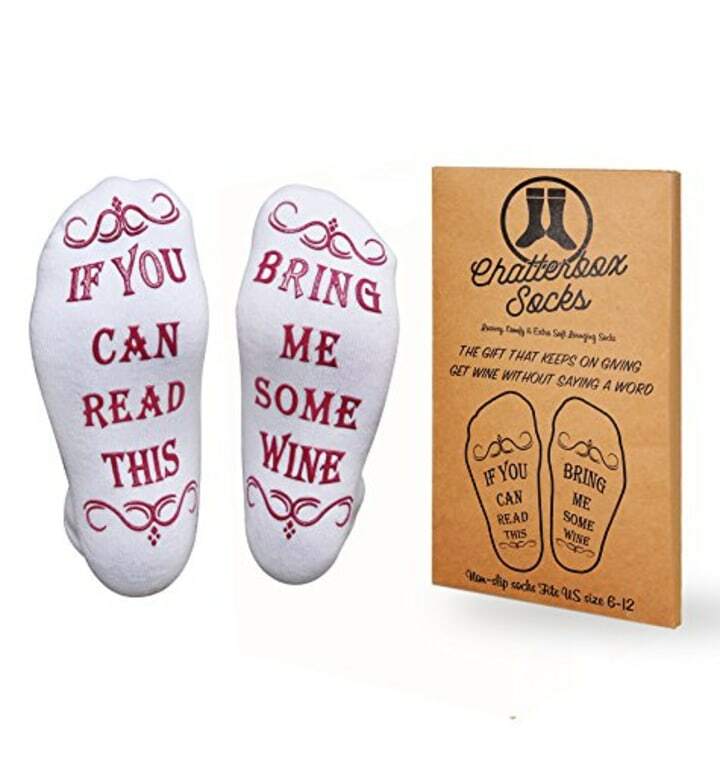 These hilarious socks make a perfect stocking stuffer. 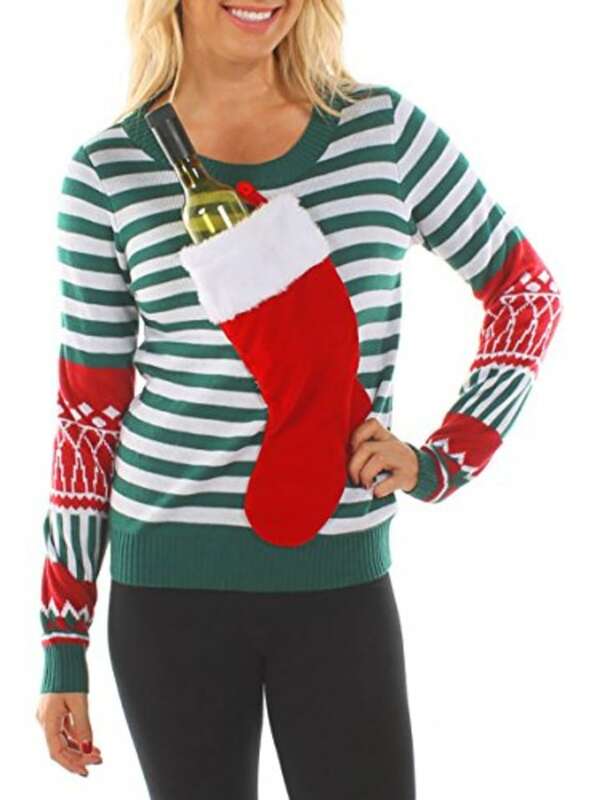 Get easy access to a bottle of vino this Christmas with this hilarious sweater from Tipsy Elves. 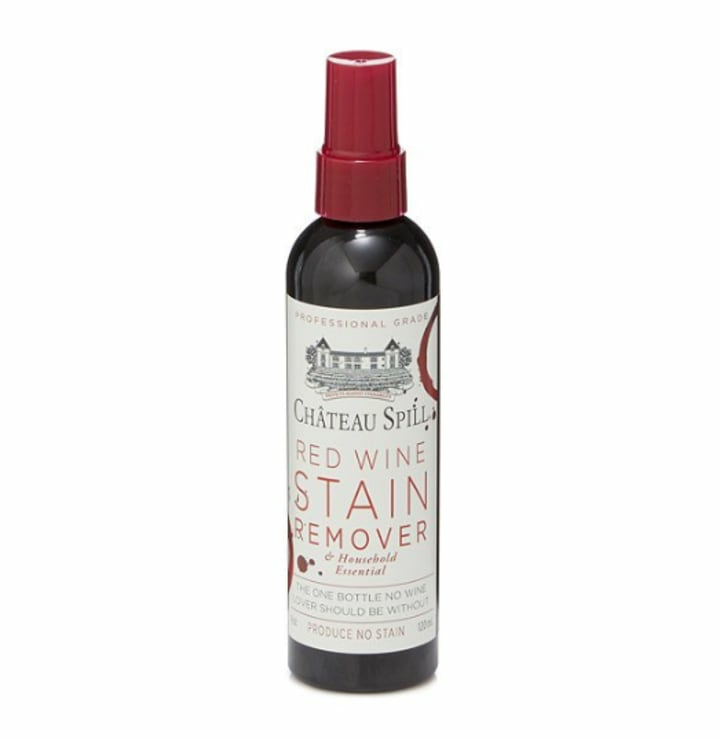 This pocket-sized stain remover will save the day. It works on T-shirts, tablecloths and cotton couches to get rid of even the toughest Merlot. Finally, learn how to talk wine — just like a real sommelier! 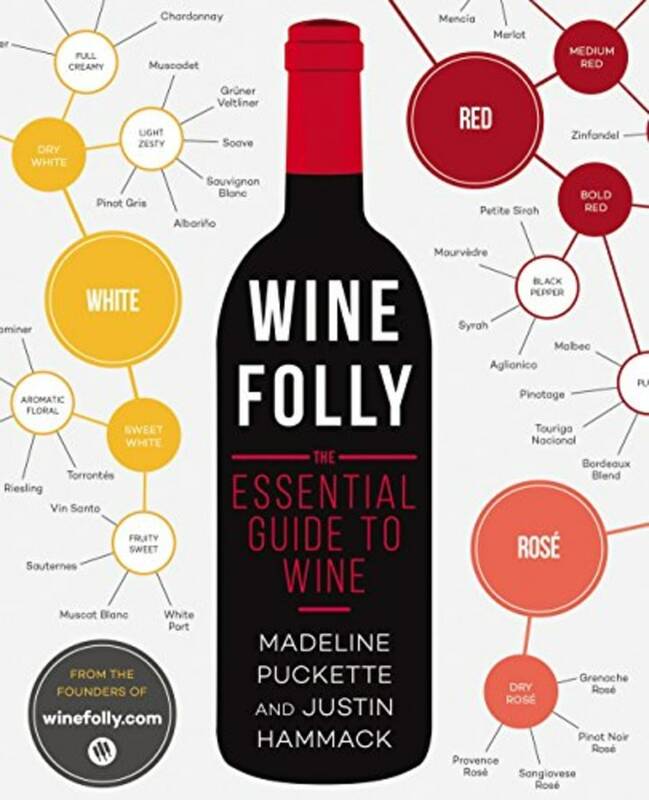 This book will help anyone tell a malbec from a merlot and teach you the best wines to pair with certain foods. "The Wine Bible," by Karen MacNeil, is another popular pick. 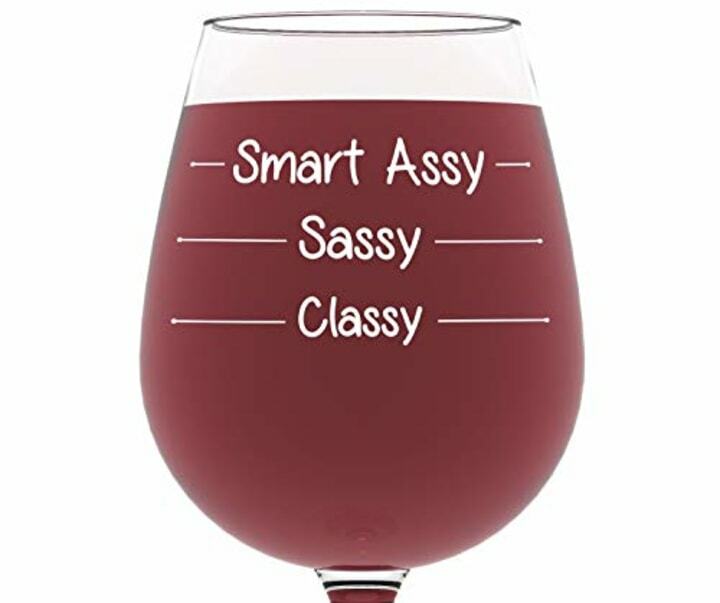 Give your wine lover a chuckle with this fun glass that measures each pour by "Classy," "Sassy," and "Smart Assy." Is your wine lover stuck on what to serve with a bottle of vino? 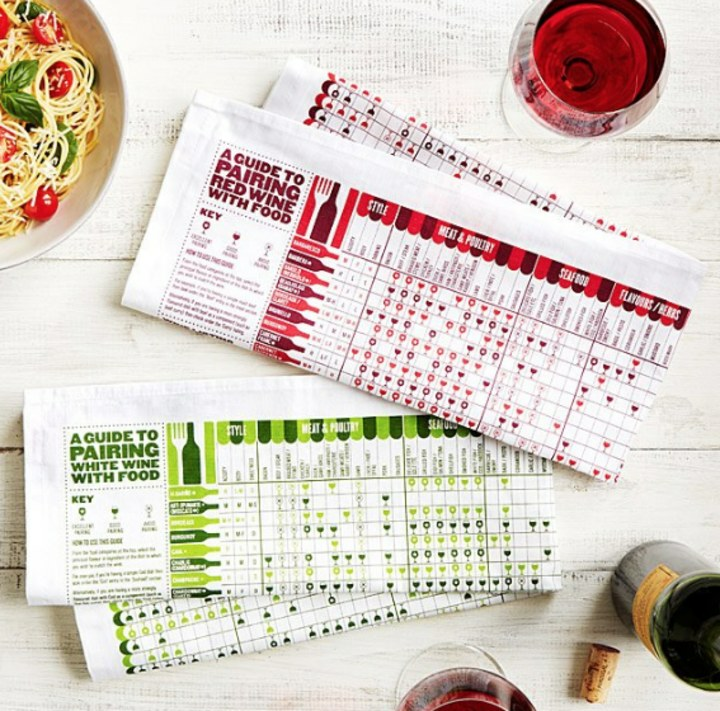 These easy-to-follow towel guides give suggestions for foods that go perfectly with their favorite reds and whites. 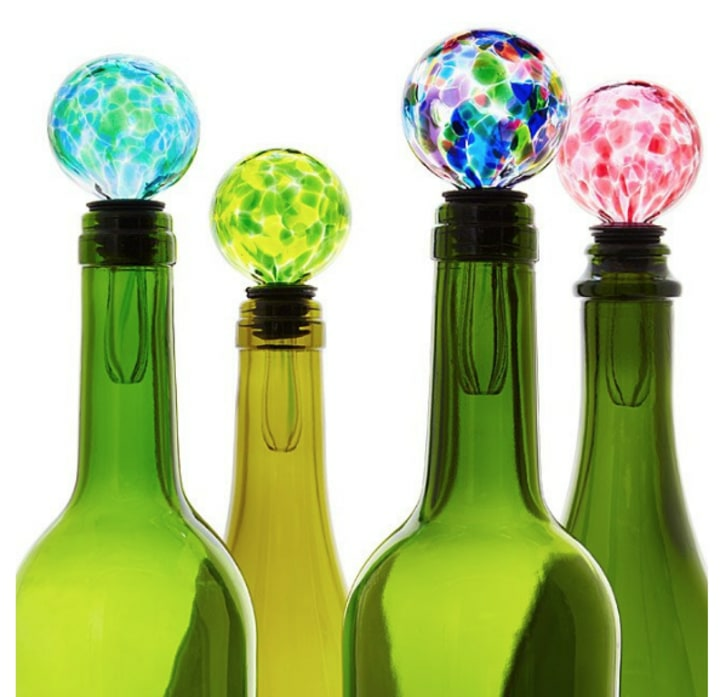 Preserve any wine in style with these handmade bottle stoppers. 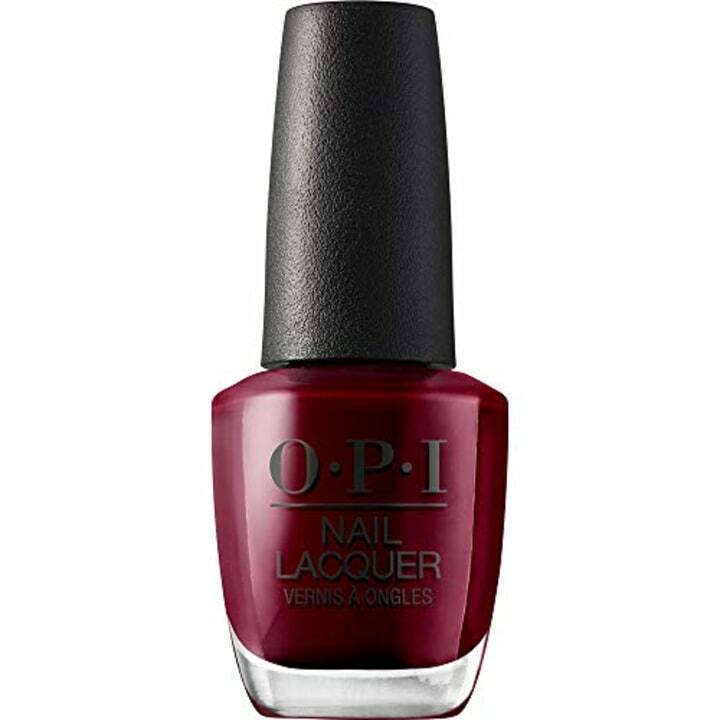 This Malaga wine color will look gorgeous at any holiday party and makes an excellent stocking stuffer for the beauty-obsessed wine enthusiast on your list. Add yeast to grape juice and — bam! This kit is easy and perfect for beginners. 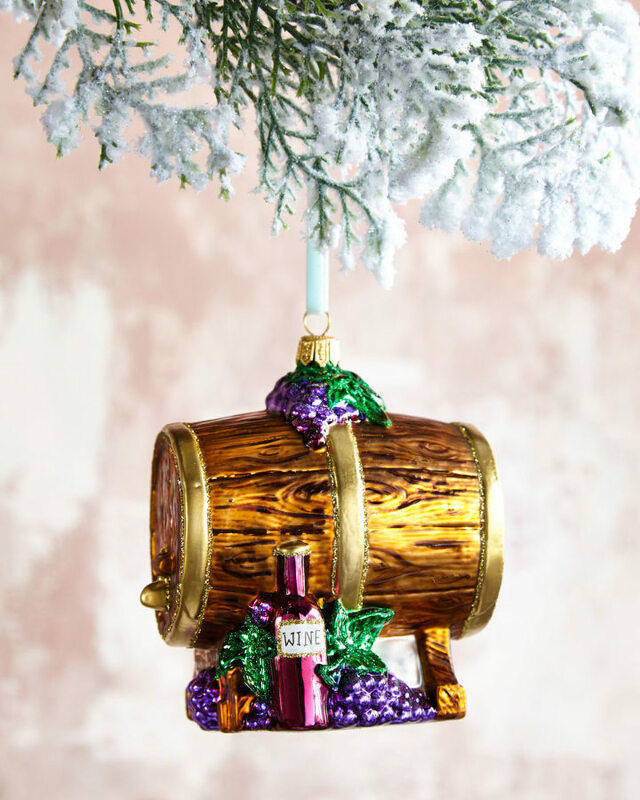 What wine lover wouldn't enjoy hanging this from the tree? This bottle stopper is a show stopper! 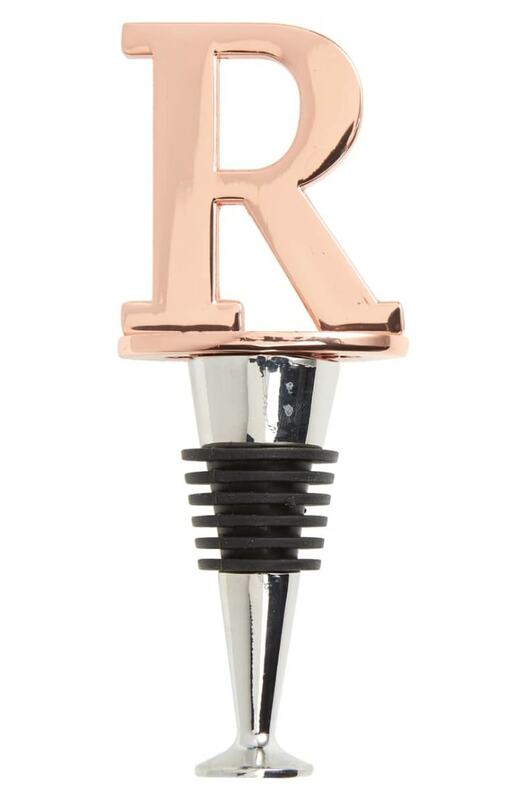 A copper letter gleams atop a polished steel stopper that adds a personal touch while keeping wine drinkable. 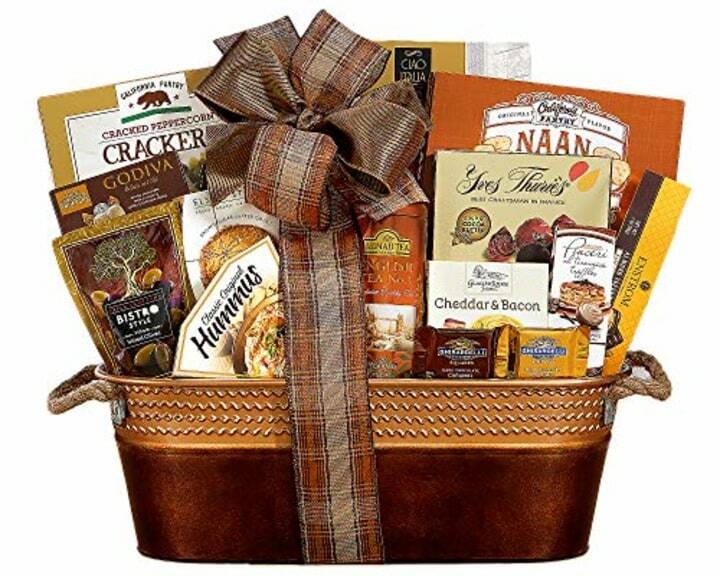 You can never go wrong with a great gift basket! This one comes with all the goodies foodies would love to pair with a glass or two. 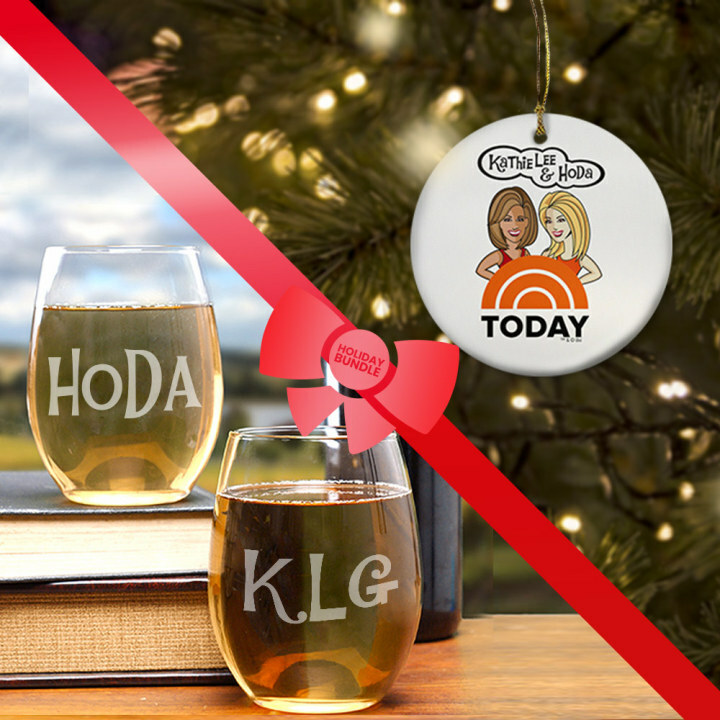 And for the friend who loves Kathie Lee and Hoda AND wine, this gift set is sure to bring a smile to their face. 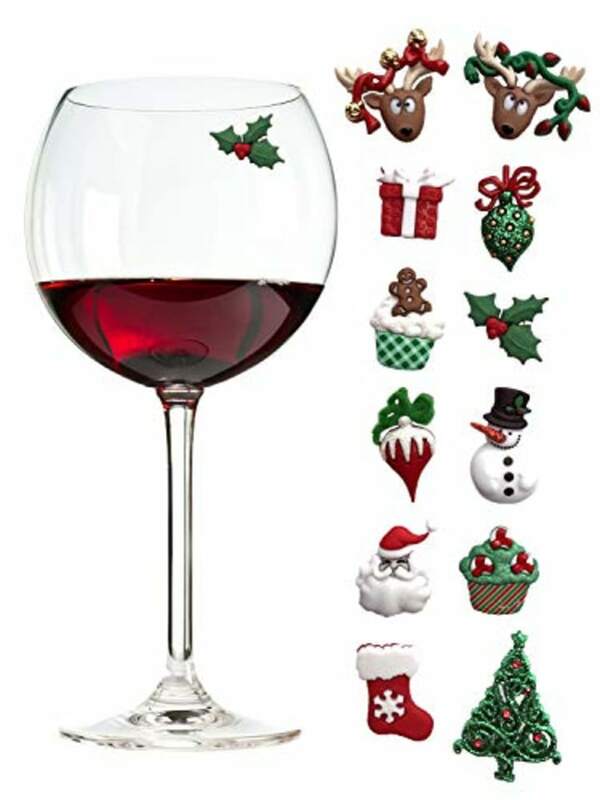 It includes two wine glasses and an ornament.